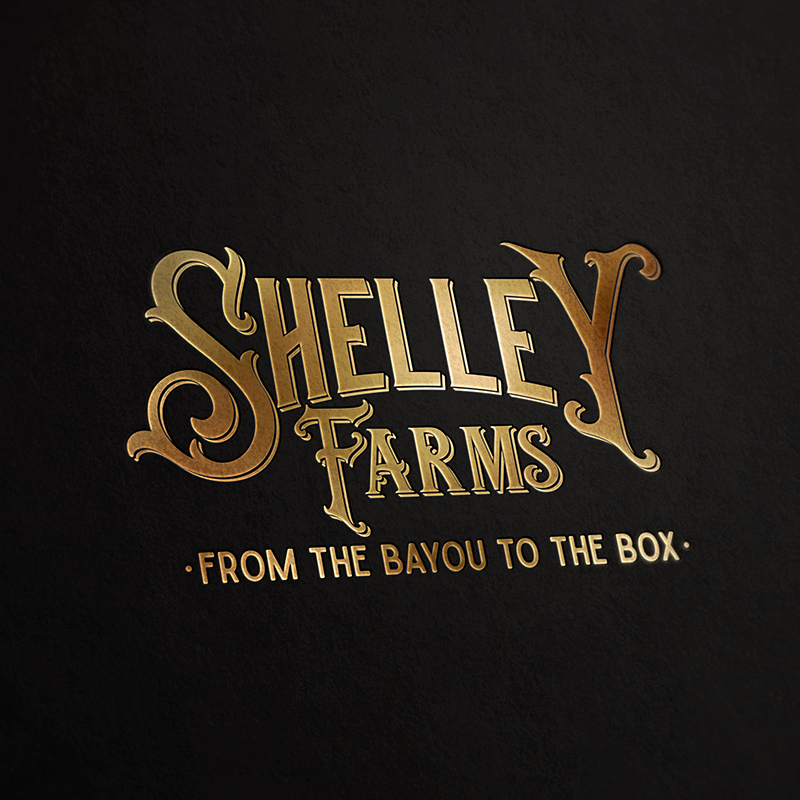 Fresh from the bayou to the box, Shelley Farms produces premium Louisiana oysters. 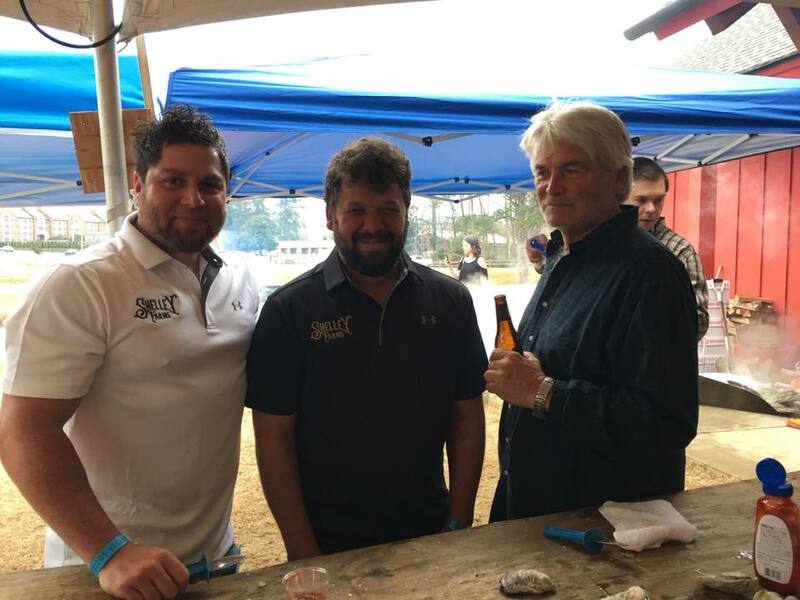 The family-owned business carefully harvests the freshest, highest quality shellfish with a passion for raising oysters in the fertile waters of the bayou. Down on the bayou, a Louisiana family of Oyster Whisperers hand-raise and harvest fresh, plump, premium oysters for seafood merchants and wholesalers to provide to restaurants and raw bars across the state. 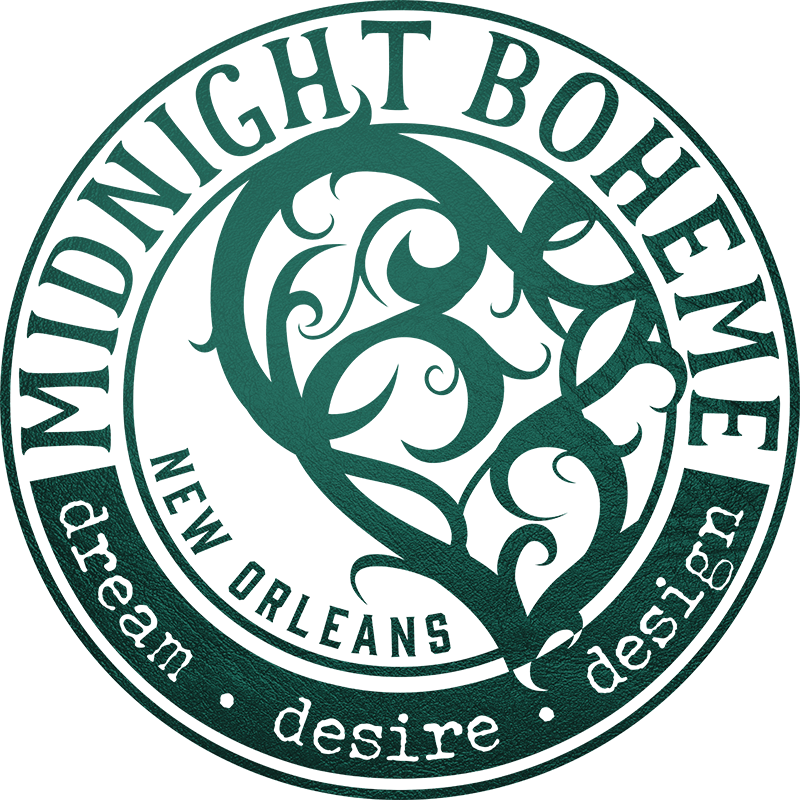 Midnight Boheme worked with gusto on creating a new brand style for the freshly cultivated oyster farm and found that oysters are a mysterious enigma filled with flavor and history. 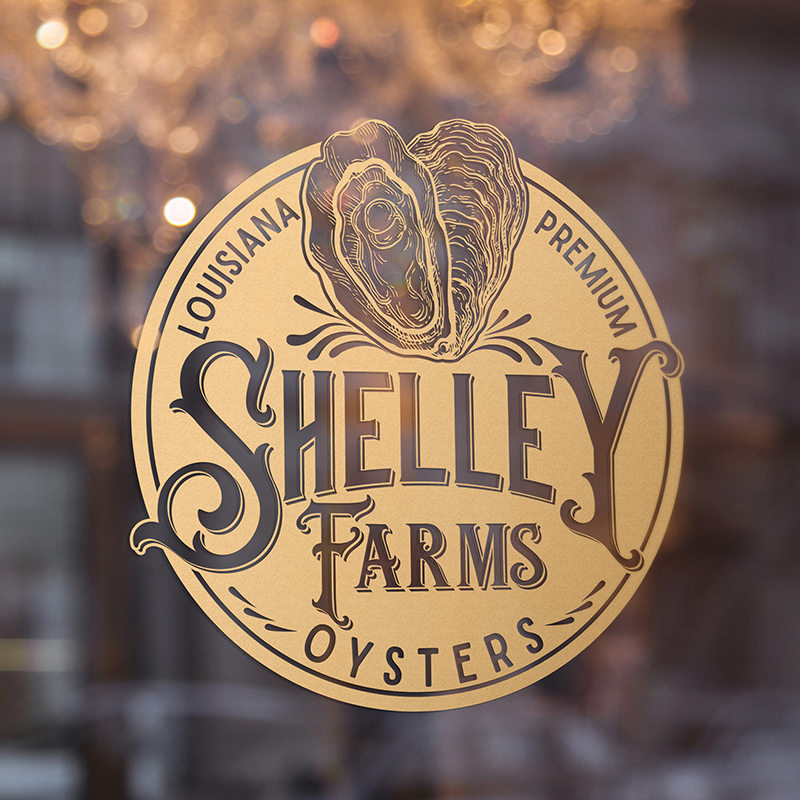 Look for the Shelley Farm label the next time you order oysters at a restaurant or oyster bar! 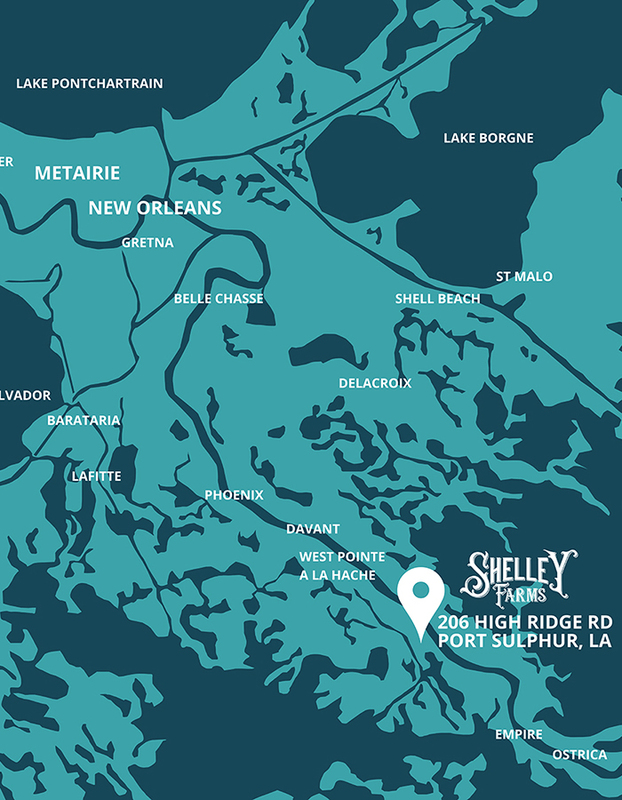 Situated on the leased oyster bottom of Bayou Hertesa, Shelley Farms has branched out to explore different methods of farming to perfect a system that will provide fast-growing, high-quality oysters. 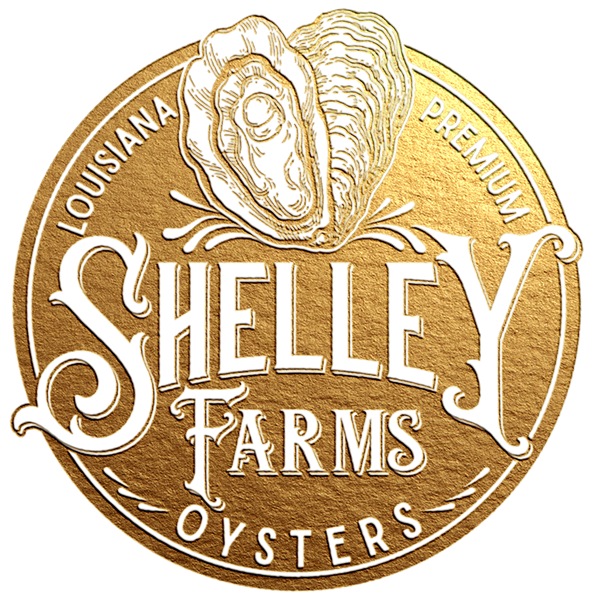 Because seasonality varies from region to region, Shelley Farms produces oysters that are exclusive in the market and possess a truly distinct flavor. 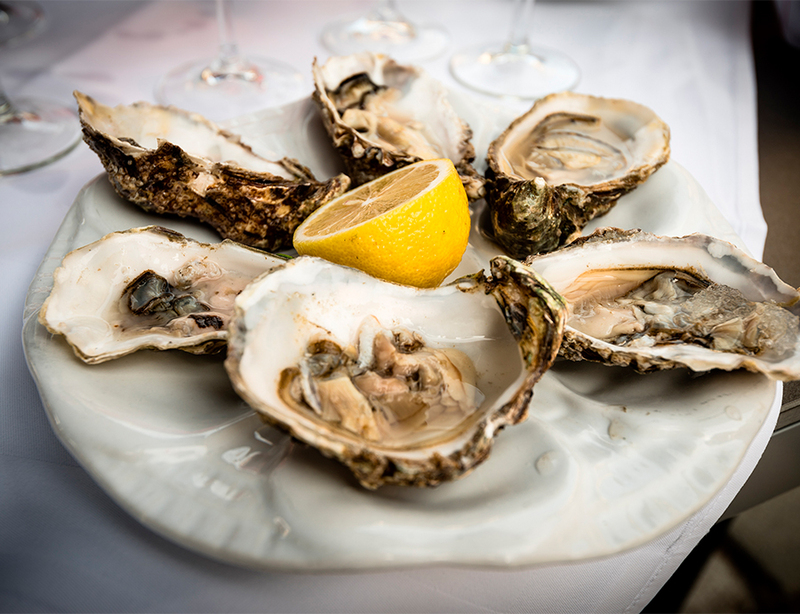 Like grapes in the wine industry, oysters draw their unique flavor from their environment. 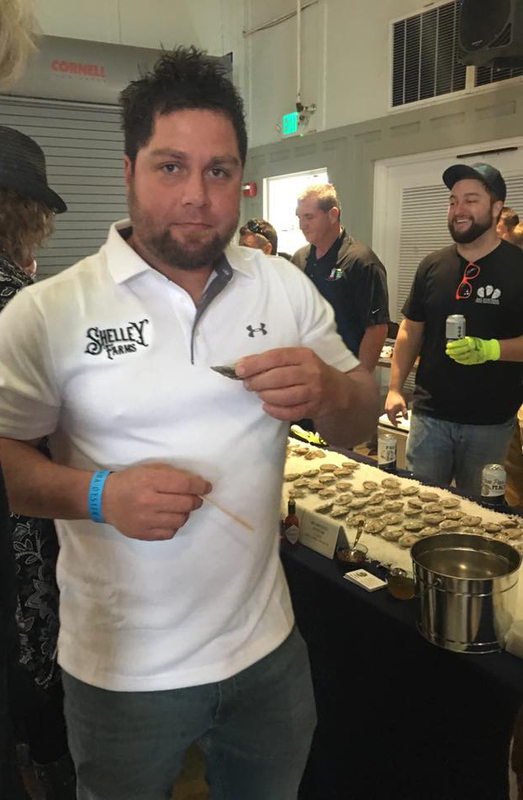 The salty Southern waters of the bayou are the main ingredient that makes Shelley Farms oysters special. 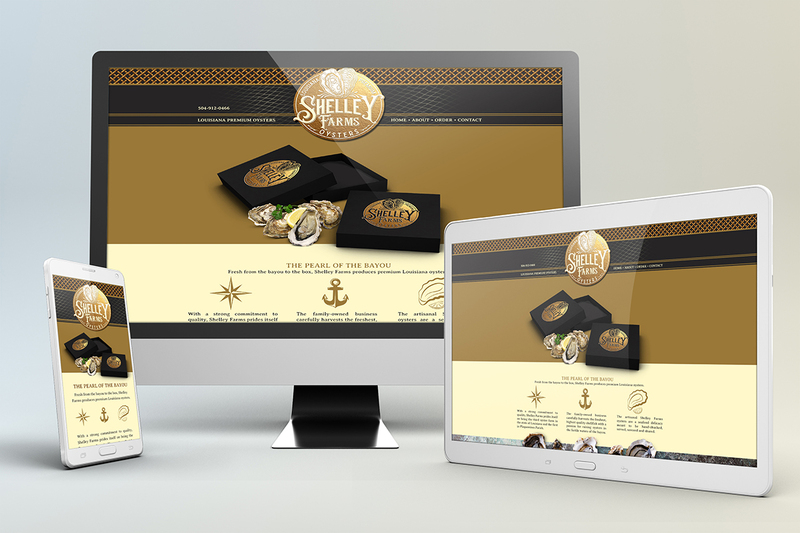 With its new signature logo and color palette, Midnight Boheme designed a rack card to begin promoting Shelley Farms. 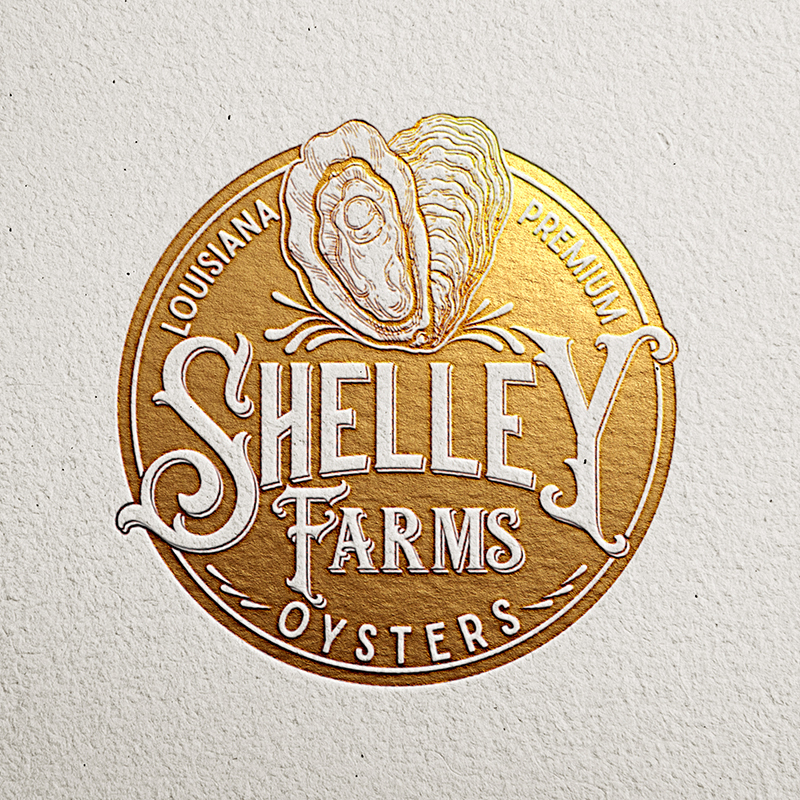 After handcrafting an original logo design for the new oyster company Shelley Farms, Midnight Boheme worked alongside OPA Graphics in the manufacturing of a large sign that now stands in the bayou to announce the farm's location. The logo is also printed on the stylish oyster box crates that are filled with the product and shipped to wholesalers across the country. Even the employees of Shelley Farms now sport the new logo design on their polo shirts and t-shirts. 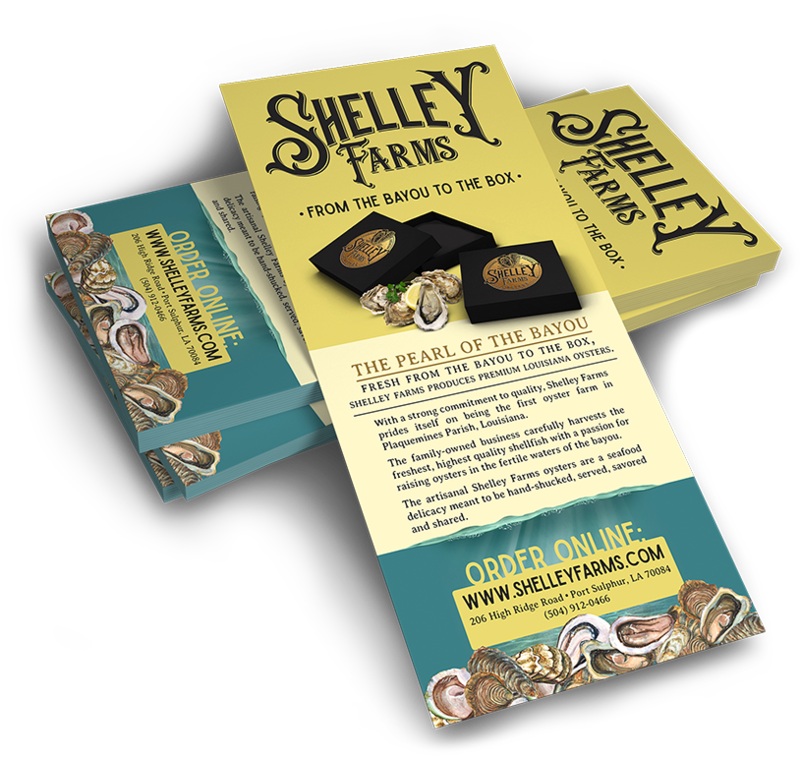 Drawing inspiration from the history of harvesting fresh oysters and the hard work of commercial oystermen in the fertile Southern water of Bayou Hertesa, Midnight Boheme developed and designed a customized website for Shelley Farms that includes wholesale order forms, company information, and the "Oyster Academy" which includes FAQs about oysters, popular recipes, and helpful tips on how to shuck oysters and information on the lifecycle of the oyster.